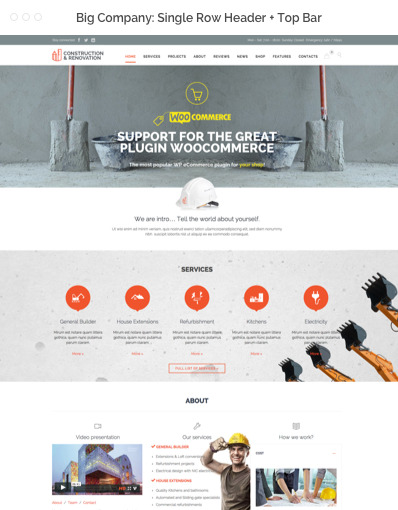 Hassle free premium theme created for the construction industry. Super easy 1 click installation & no coding skills required! 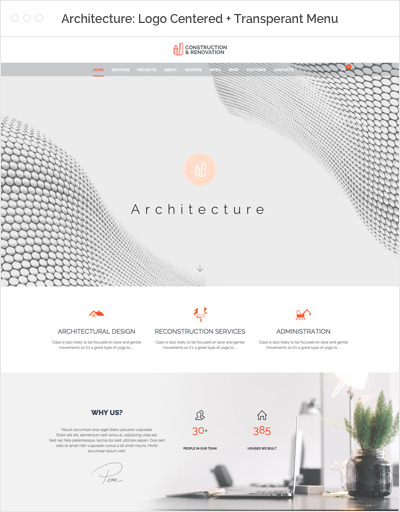 The theme uses a flexible template builder that enables you to create unique pages and posts. 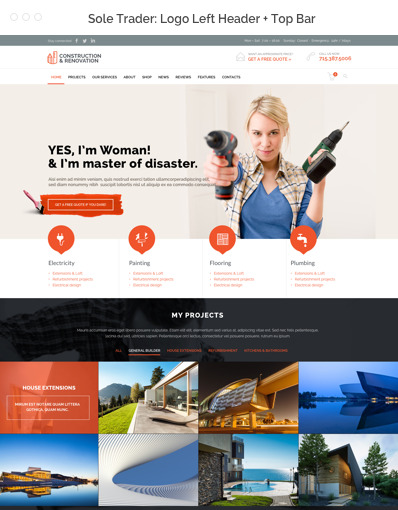 The VamTam drag & drop page builder is a very rich tool with simple interface for building any page or post layout with simple drag & drop. 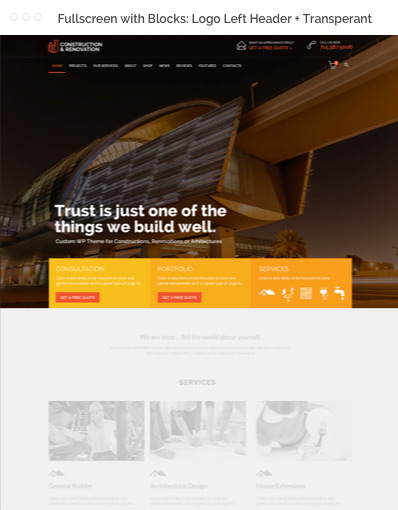 You don t need to touch one line of code for creating your page layout and elements. This tool will save you lots of time on building your pages or posts. The VamTam drag & drop page builder is tightly integrated with tinymce editor and you can switch to visual or text editor at any time without losing any changes. 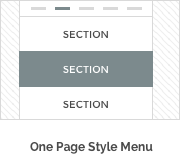 Tabs and Accordion elements with drag and drop interface. Drag & Drop page builder works with pages, blog and portfolio posts. 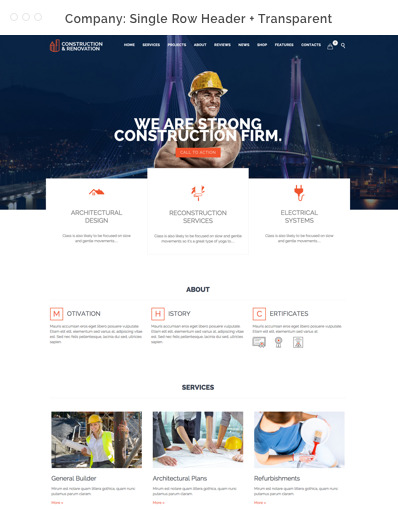 • Responsive layout (320px to 1260px). • Option to disable the background images on mobile devices. • Touch Enabled Sliders with swiping. • Gracefully degrades in older browsers. 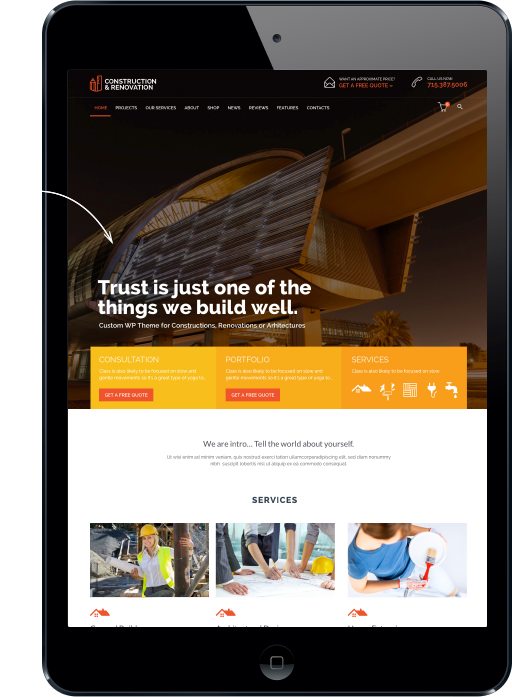 • Dedicated mobile design, looks perfect on your IOS or Android device. Endless layout possibilities. 10 header layouts . Choose from three max resolutions: 960 px, 1140 px, – 1260 px. 10 header layouts . Choose from three max resolutions: 960 px, 1140 px, – 1260 px. Unlimited Dynamic Sidebars. Unique widget areas for posts/pages. Global archive templates. Per page and per post option panels. Icon Font Manager – Upload Your Custom Icons 1200 Premium Icon Set: $39 Value! Help Desk with one on one email and ticket support and dedicated support staff ready to assist you. Response times usually less than 8 hours. 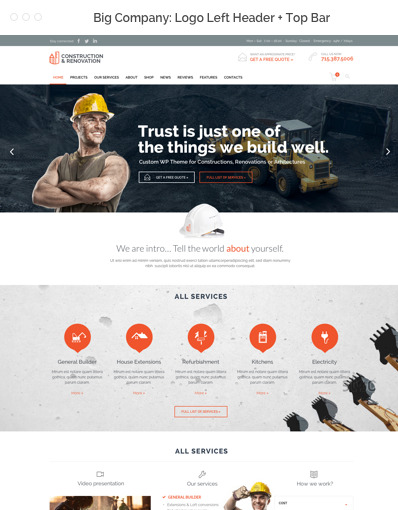 Enhance your brand with this beautiful theme.